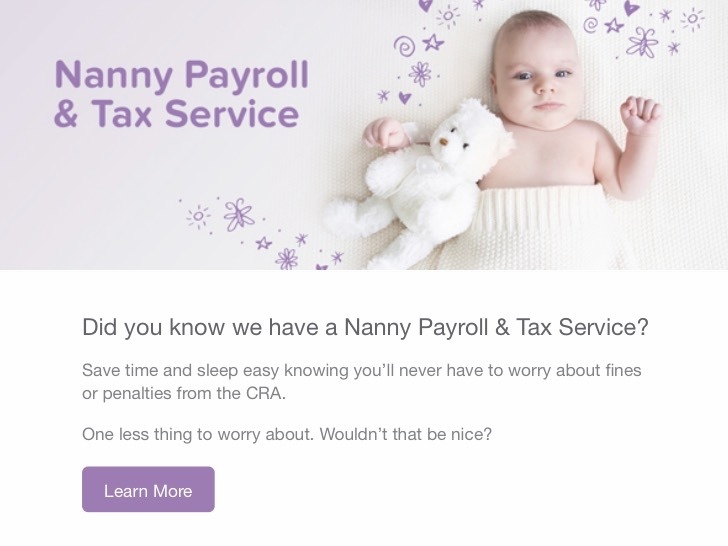 Trisha Heathcote, an experienced nanny payroll and tax expert at CanadianNanny.ca and Heartpayroll , breaks down the Government of Canada’s Temporary Foreign Worker Program (TFWP) and how it applies to sponsoring a foreign nanny. In plain English, she explains how the program works in addition to the steps families and workers must take to allow a foreign nanny to work in Canada. Note: The rules described for the live-in caregiver program have recently been updated and are based on how the program exists today and not previous versions. In order to make childcare and elder care more affordable for some Canadian families, the government, Employment and Social Development Canada (ESDC) and Immigration, Refugees and Citizenship Canada (IRCC) offers a program called the Temporary Foreign Worker Program (TFWP). This program allows a family to hire a foreign caregiver from overseas and bring them to Canada to work in their home caring for a child, an elderly person or a person with a disability. There are requirements and a process for both the employer and worker to go through and it can take some time depending on where the caregiver is coming from. Sometimes the worker is already located in Canada, which can reduce the approval time in the sponsorship process. This program was developed when it was realized there will be a shortage of Canadian workers available to be a live-in caregiver, particularly elder caregivers as our older population is increasing at a rapid pace. This program was created to smoothly facilitate the hiring of foreign workers and bringing them into Canada. Some big changes were made to this program in the past couple of years. One of them is that they have split the definition of a caregiver into two separate categories. For the employer hiring the worker, they have to attempt to hire a Canadian citizen or a permanent resident to fill the job first. In most cases, they are required to post on the Government of Canada’s Job Bank or its provincial equivalent plus two additional resources, such as CanadianNanny.ca, for at least 4 consecutive weeks. It has to be posted during the 3 months before the employer submits the LMIA application. Proof of their attempts at finding a Canadian worker may be requested and they would have to provide the advertisement and data to support where, when and for how long the position was advertised. It’s recommended to keep this proof for 6 years in case it is requested at a later time. Once an employer has attempted to find a Canadian citizen or a permanent resident to fill their position and they are wanting to move forward with sponsoring a foreign caregiver, they can start the process to hire one directly, whether they do it on their own with an online nanny service or through an an agency. Once a caregiver has been found and they enter into an employment agreement with the prospective worker, they have to submit a labour market impact assessment (LMIA) to Employment and Social Development Canada (ESDC) along with a $1,000 non-refundable processing fee. prove they require the care such as a birth certificate of the child or senior (65 years or older) that requires care. If the caregiver is for a person with high medical needs, there are additional medical documents that need to be provided. the employer must provide a private room, with a window and a door that locks from the inside. Employers must also cover the worker’s transportation costs (e.g. airplane fare from another country) and are not able to recoup these costs from the worker at a later time for any reason. The worker’s medical coverage from the time they arrive in Canada until the time they are covered by the provincial/territorial health services plan must be paid for by their employer. An employer must register with and pay premiums to their provincial/territorial Workplace safety insurance provider. Each province/territory has their own version of this and applicable premium rates. Foreign nannies on average are shown to have lower minimum pay rates compared to their domestic counterparts by 12%. Many foreign nannies are willing to be live-in caregivers, a convenient asset for many households. It may be beneficial to have a new culture within your household - many families find it valuable to have a caregiver from their home country to teach their children a different language or culture. For the worker coming to Canada, they are carefully screened and must meet certain requirements related to education, training, communication, medical, security and criminal clearances and they must have a signed employment contract with their prospective Canadian employer. Once the application is approved, the caregiver will have to have a medical examination that they pay for. They also need to obtain a work permit before entering the country. It can take several months. The exact length of time varies depending on whether the caregiver is in Canada already, and if not which country they are located in. The employment contract must show the program requirements are being met. The job duties and work schedule must be clearly defined in the contract, including time off per week and vacation time. The caregiver is required to provide care for at least 30 hours per week (full-time) and can live in or out of the residence. The employer must pay at least the prevailing wage, which is defined as the median wage in their location and can be found on the Government of Canada Job Bank website. A foreign caregiver is NOT required to live in the residence and it cannot be a condition of employment. If the agreement is for the caregiver to live in the home, the employer must provide room and board at no cost to the caregiver. The employer must provide the caregiver with a private and furnished bedroom with a lock on the inside and it must meet all building and safety standards. There are labour laws that protect all workers in Canada, including temporary foreign workers. Employers of a caregiver must follow the provincial Employment Standards Act when it comes to things such as pay, including overtime if applicable, hours of work with required rest periods and vacation pay. If the caregiver’s employment needs to be terminated for any reason, there are specific rules that need to be followed based on provincial regulations. Some families may consider purchasing gifts to welcome their nanny from their home country to keep as sentiments such as certain food, flowers or clothing items. Allowing your caregiver to cook her speciality dishes from another culture can help connect with her past. Giving your nanny resources to learn English or acclimatize to her new culture may also help her ease into this transition. The CanadianNanny.ca Team knows it can be an intensive process and will do whatever we can to help! You can use our affordable self-serve service where you can search the largest database of nannies in Canada in addition to posting a job to help fulfill your recruitment obligations. If you would prefer to go through a nanny agency we can provide you with a list of trusted agencies that could assist you with finding a caregiver and/or with the LMIA paperwork. You can find the Temporary Foreign Worker Program requirements for in-home caregivers and obtain the required forms here. We have more babysitter and nanny jobs than any other service in Canada. On CanadianNanny.ca you can find nanny jobs in over 3,000 cities across Canada. We have been helping caregivers find work in Canada since 2002 and have more jobs now than ever!